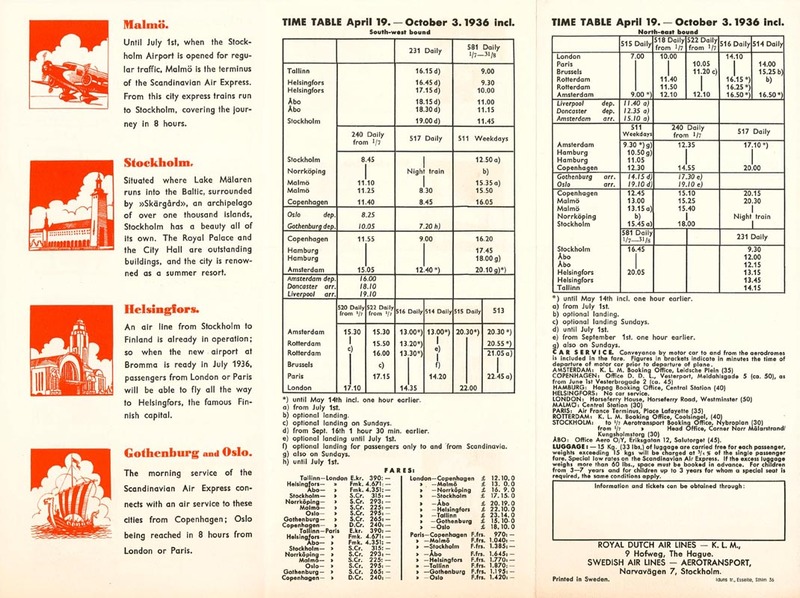 The first Scandinavian Air Express timetable showing flights to and from Stockholm's brand new Bromma Airport, inaugurated on May 23, 1936. Bromma Airport was Europe's first with all paved runways and opened for scheduled traffic on July 1 the same year. Before Bromma, scheduled flights to Stockholm were operated by float planes. Passenger flights connected Stockholm with Finland and Estonia. 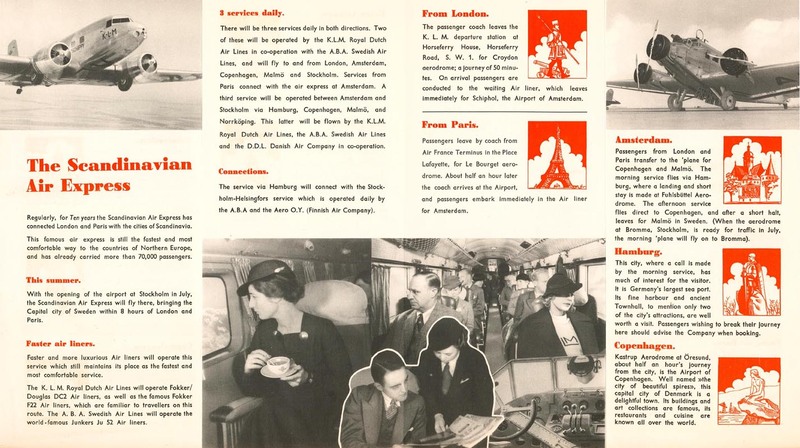 There were only mail flights to southern Sweden and passengers travelling to Western Europe had to take the train to Malmö, which was the terminus for scheduled flights to and from the European Continent. This page last updated September 23, 2015.